Flavia and Brent met in Peru while Brent was visiting for his 30th birthday. He went there without knowing that he would leave having met the love of his life. The two of them lived thousands of miles apart (he in America and she in Peru) for three years, visiting each other from time to time, growing in their love for each other even while physically apart. Until one day, Flavia left all that she knew in Peru to be with him. Fast forward to 2016, when Brent proposed to Flavia and she said yes, ready to spend the rest of her life with him. 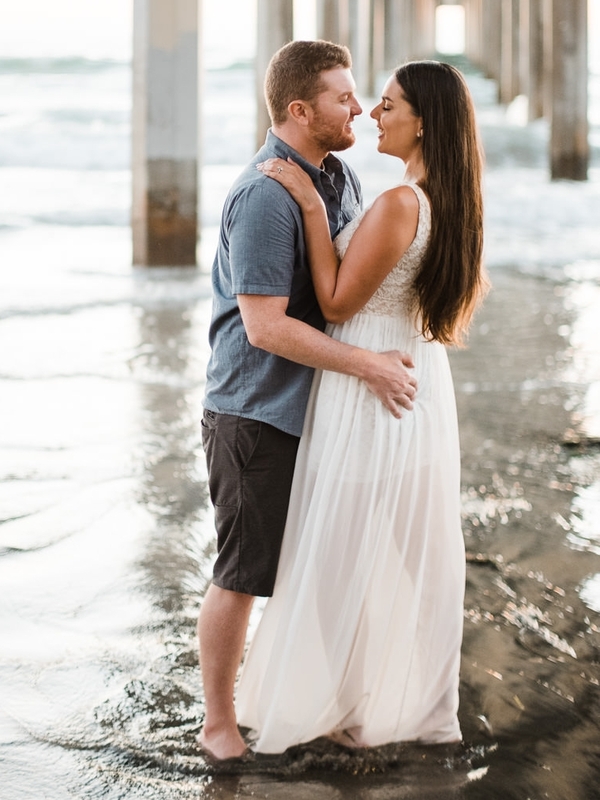 The two of them now live in sunny San Diego, and they wanted their engagement session to take place by the ocean. 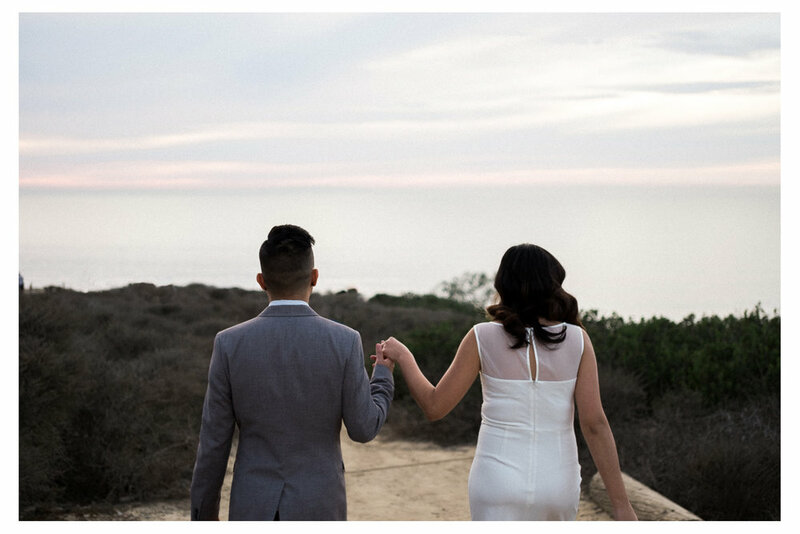 What better location for a gorgeous couple than the gorgeous Scripps Coastal Reserve Cliffside, and then Scripps Pier. Not only are these two incredibly good looking, they are also very much in love and it showed during the time I spent with them. Scroll below to see photographs from their beautiful session. Recently engaged? 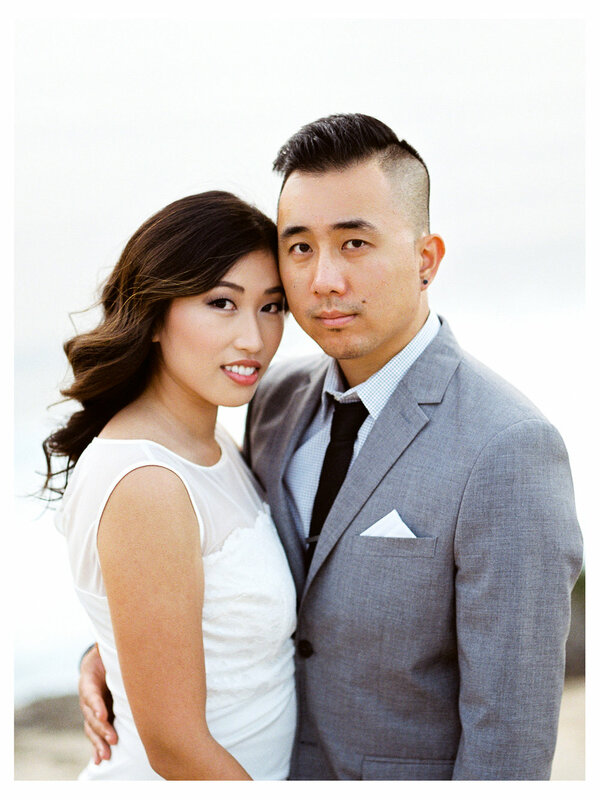 Want beautiful, intimate and classy engagement photography by the beach? Contact us today to book your session. What do Birkenstocks, North Park, Succulents, Coal Fire Pizza, Gourmet Ice Cream, and Film Photography have in common? Any guesses? No? Well they were some of the elements that made up Josh and Sandra's awesome engagement session. And yes, they all happen to be very hipster things. Josh and Sandra wanted their engagement session to be casual, fun and vibrant, and what better place than North Park, San Diego to make that happen. We started off walking around the neighborhood, checking out the colorful murals, brick-walled buildings and photogenic shrubbery, snapping a few photos along the way. After walking around a bit and finding some great locations for portraits, it was time for dinner. Josh and Sandra love to try out new places to eat so we grabbed some pizzas at URBN. After dinner, I wanted to get a few more shots before the sun was gone, so I took them to a cool looking blue wall that we had passed by earlier and asked them to just be goofy with each other, and they did not disappoint. We capped off the night the best way possible: with some gourmet ice cream from Hammond's. They have this brilliant thing called a 'flight' of cones, which is basically six different ice cream cones lined up either to share or have on your own. Enter there at your own risk... Check out the images from our session below. I had such a blast with Josh and Sandra's e-session, but not just because of the amazing location and great food; Josh and Sandra are actually good friends of mine (and they happen to be my kids' favorite babysitters), so when they asked me to be their wedding photographer I was both honored and excited to take on the job. But on top of being great friends, and a cute couple, one of the things I love and admire about Josh and Sandra is their heart for world missions. You see, Josh and Sandra both have a deep passion for Jesus and desire for people around the world to know him and his love, so they live their lives in a way that exemplifies that. Josh and Sandra, thanks again for choosing me to be your wedding photographer! I am super excited to be with you documenting every single moment. I can't wait! Tags: North Park, engagement session, foodie engagement session, San Diego, urban, colorful, university ave.
Press play and watch the slideshow here or scroll down as the music is playing to view photos at your pace with the full effect. What can I say about Jeff and Annie's engagement session? When I arrived at the iconic Salk Institute, they were dressed to the nines. Even though there was some construction going on around the facility, the weather provided some gorgeous clouds and the view was spectacular nonetheless. As soon as I started shooting, Jeff and Annie got comfortable real quick and, like professional models, they worked the camera effortlessly. After Salk, we drove to the second location at the famous La Jolla cliffs. Having gone to UCSD, this had always been one of my favorite photo spots, so it was always on my bucket list to photograph a couple here. So glad Jeff and Annie suggested this location so I could cross that off my list. Again, the weather and light were perfect and as Jeff and Annie cozied up to keep each other warm as the sun began setting, I snapped away. Did I mention how amazing they looked? You can see for yourself. Lastly, we headed to the beach at La Jolla Shores by the pier. As we were driving down the road I caught a glimpse of the pink and purple sky and the sun just started hitting the horizon. 'Oh no!' I thought, 'we might not make it down there before the sun is completely gone'! But five minutes later we were out of our cars, walking down the path to the beach. Although the light was dwindling down, there was still enough for me to get some spectacular shots of Jeff and Annie as they enjoyed the romantic sunset together. Just got engaged? Ask me about my signature engagement session package.